Depending on how adventurous your taste buds are, this hotpot combo would either satisfy your appetite or send you to the emergency room. 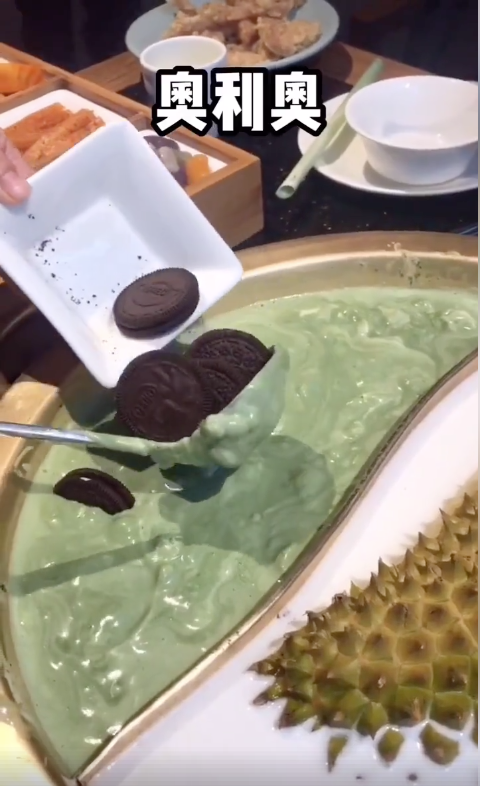 A footage has recently surfaced on Facebook showing this amazing matcha and durian hotpot being prepared. 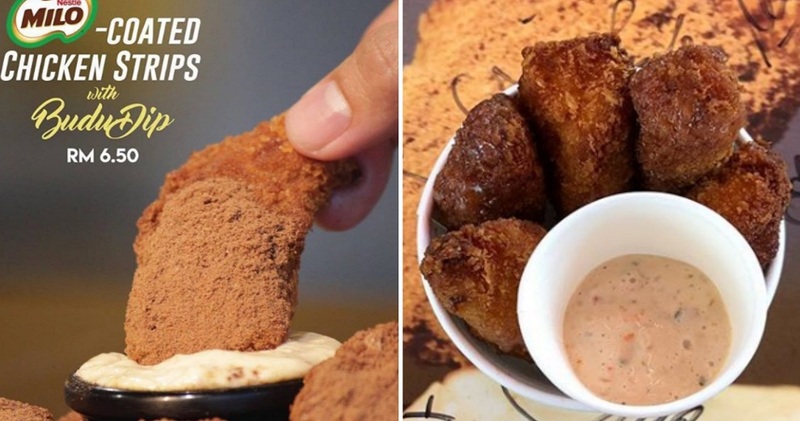 This might be one of the seven culinary wonders of the world. Wow! Amazing! 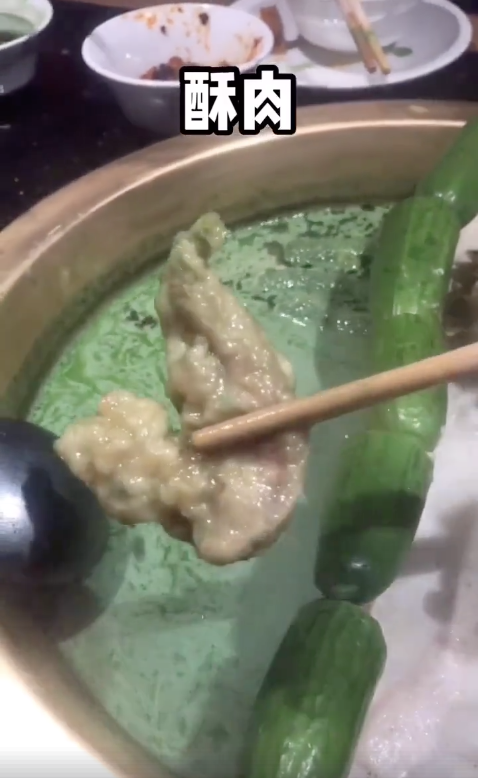 In the video, you can observe customers adding various types of “condiments” to the matcha “soup”. 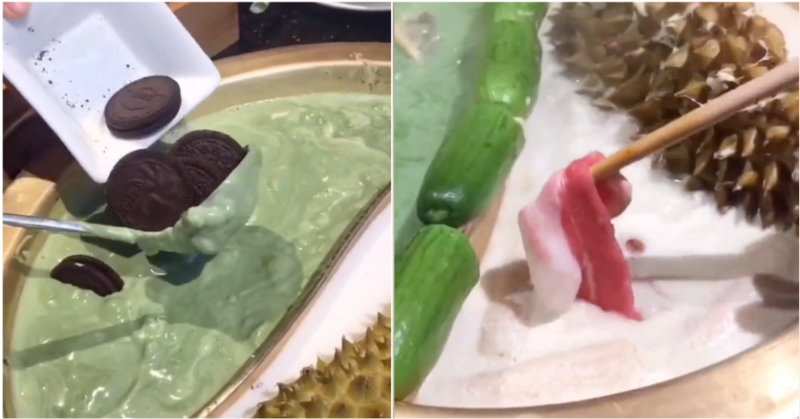 From Oreos to yam balls and sweet potatoes, so many delicious condiments were added to increase the complexity and depth of the matcha “soup” flavour. After the green concoction has been boiled down to a thick consistency, the regular savoury ingredients of any hotpot such as beef and chicken are added. Nice! Let’s not forget about the durian broth too. 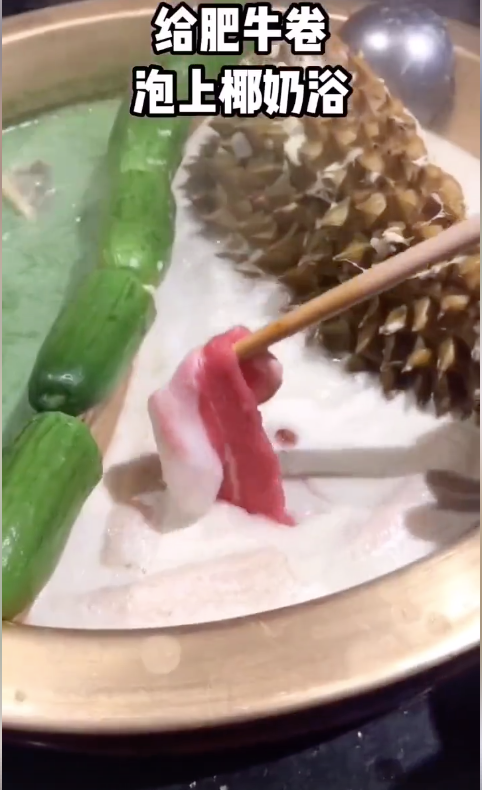 Made from coconut milk, durian flesh and even the durian husk for added flavour, the broth has been said to go well with beef slices and especially if eaten with some of the in-house chilli sauce. Drooling! So, have we triggered your hunger yet? Sadly at the moment, this miracle hotpot is only available in China. However, don’t lose hope because Malaysians are known to be adventurous too. Surely one local hotpot joint will serve a similar dish soon! Fingers crossed!